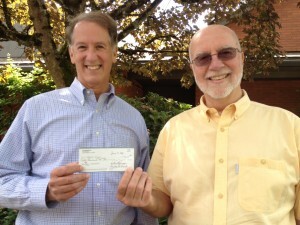 WaterAfrica Co-President Gary Mittelstaedt (right) delivered $80,000 (Walk4Water8 Proceeds!!) to World Vision in June. 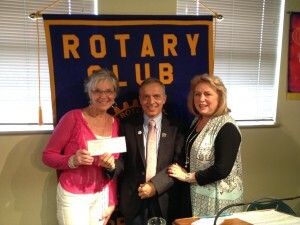 Last week we received a surprise $2,000 donation from the Lake Oswego Rotary International Service Club! We are so grateful for their support as we work to bring clean water to rural Zambia. Our relationship with the Lake Oswego business community continues to grow and we are so thankful for this important partnership. This year we worked with downtown businesses to establish a formal Walk4Water relationship, and several businesses partnered with us to even donate a portion of their proceeds on Walk Day. Fundraising update 6/15/15: Walk4Water8 raised $80,000!! The check has been delivered to World Vision for life-changing Water, Sanitation & Hygiene work in rural Zambia. 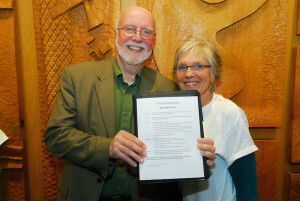 Fundraising update 5/8/15: We did it!!! Walk4Water8 raised more than $70,000 to bring life-changing Clean Water to over 1400 people living in rural Zambia. THANK YOU! Fundraising update 4/25/15: We are still short of our $70,000 fundraising goal to bring a lifetime of clean Water to 1400 people living in rural Zambia. You can still help us reach or exceed this goal by donating today. We had many new friends join us for our 8th annual Walk4Water and we are grateful to all the Walk4Water8 Participants, Volunteers, Sponsors, Business Partners, and Donors as we celebrate the success of this life-changing event. Please see our photos on Facebook. 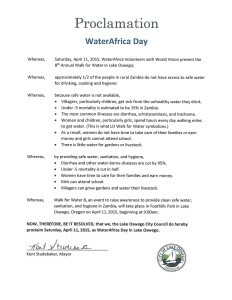 Last week the Lake Oswego City Council declared April 11, 2015, WaterAfrica Day in Lake Oswego. 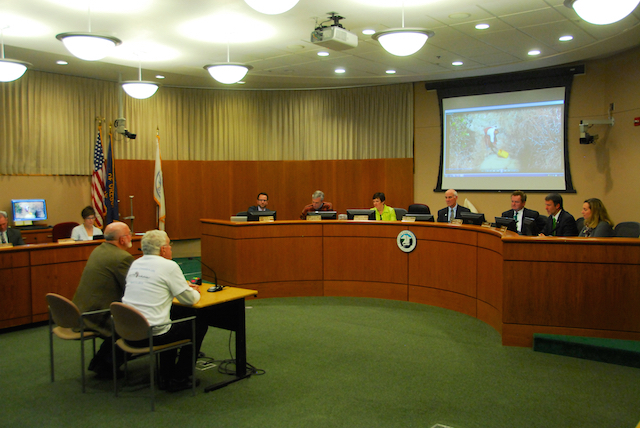 WaterAfrica board members and friends attended the session to give a brief presentation on the transformative impact of our annual Walk4Water and receive the proclamation from the Council. 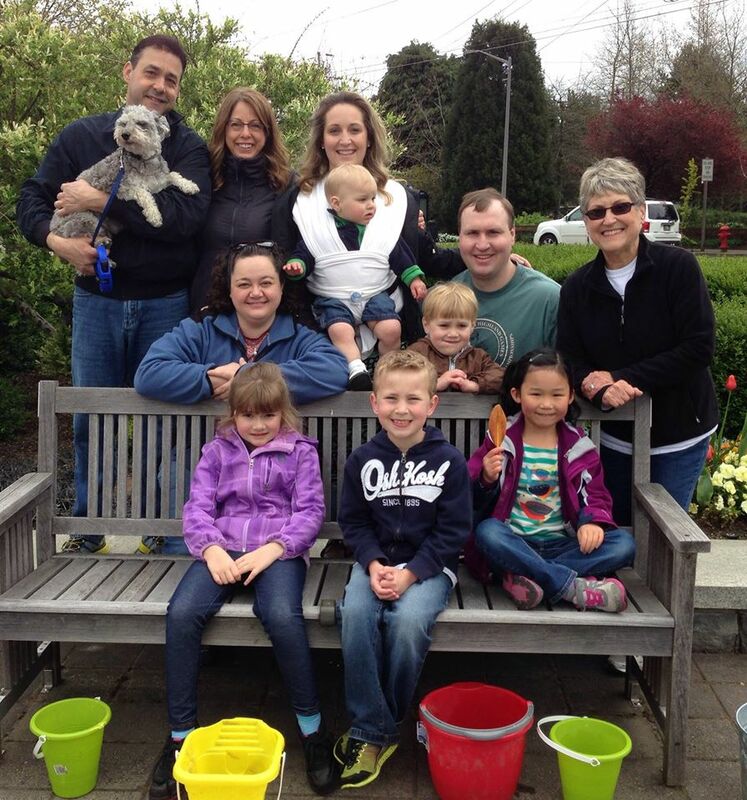 We are grateful for the continued support of Lake Oswego Community as we host our annual Walk downtown. As the WaterAfrica planning team gets ready for our 8th(!!) annual Walk it is joy to look back through pictures and see new friends and old! Some families have walked with us from the beginning and kids have grown up with WaterAfrica’s annual Walk4Water embedded in the rhythm of spring. As we Countdown to Walk4Water8, April 11, we’re reaching out to our Walk4Water Community and asking…. Why Do You Walk, Kelley Ilic? 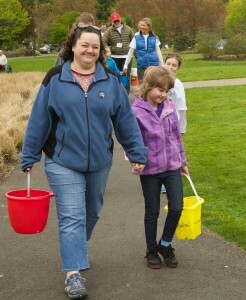 “We got involved in the Walk4Water because of my mom, Melinda Gordon. 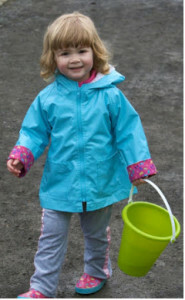 She participated in WaterAfrica’s very first Walk4Water and then invited her family to join her in subsequent years. Originally our family got involved because it was a great way to experience a very small part of what walking for water is like. 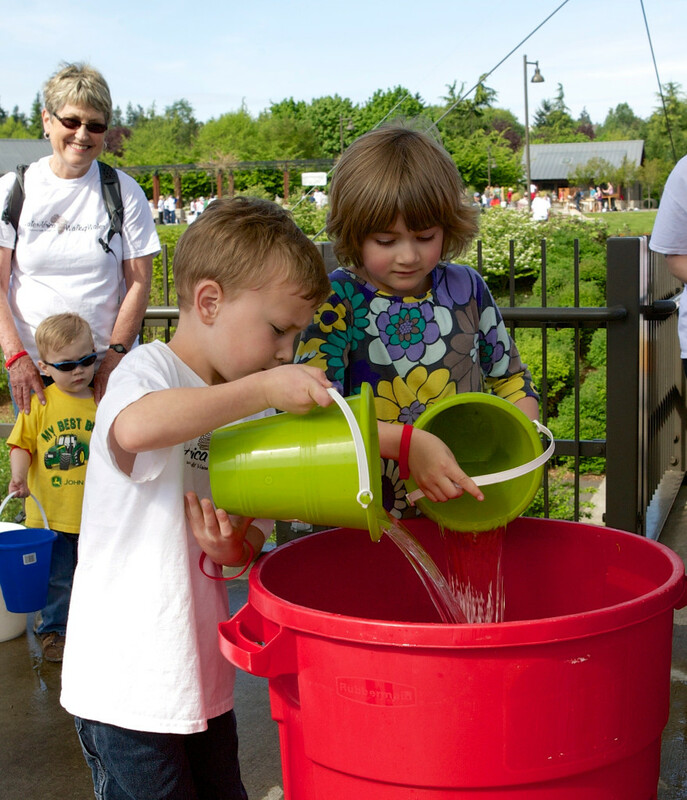 It has always been a fun outing for the kids, but as they get older they are developing a growing understanding that the water situation in Africa is very different from Oregon, and why having access to water is so important. Every year as our kids talk about how difficult it is to carry a small pail of water for a mile it gives us a spark for their imaginations: what must it be like carrying 50 times that amount, every day, for 5 miles or more?!? It definitely is a great teaching moment of the entire family. 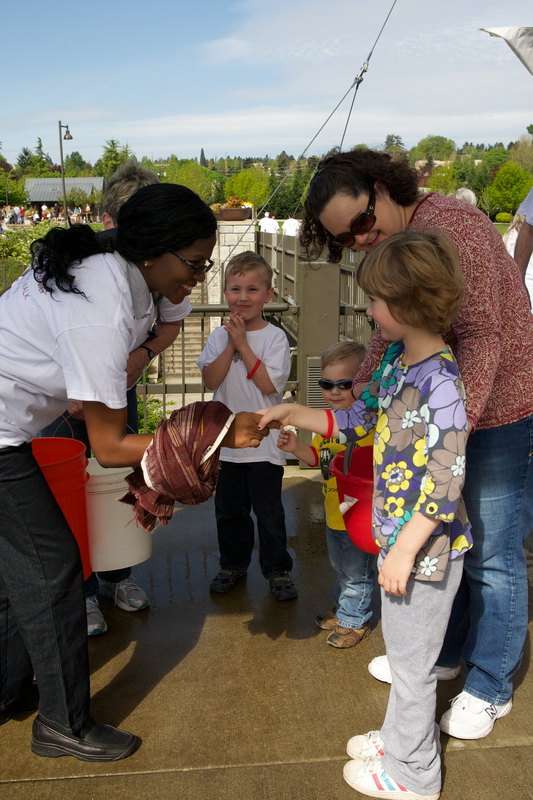 We enjoy meeting the distinguished guests from Zambia who have joined the Walks on many occasions and I also love the exhibits that have been created and displayed in recent years to demonstrate what a tip-tap is and what a dishwashing station looks like in villages in Africa . 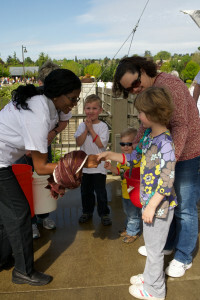 Family working together to support access to clean safe water! 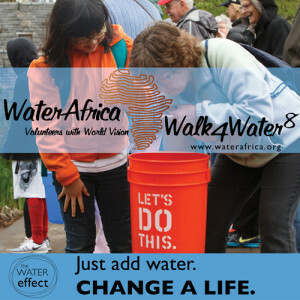 Please join Kelley & Katie, their family and friends, and the WaterAfrica Community as we Walk4Water April 11 – brining life-changing hope and opportunities to people living in rural Zambia. Just Add Water. CHANGE A LIFE. As we support World Vision’s work to provide water to ALL Zambians in World Vision’s Development Programs by 2020. February has been a busy month in this work! 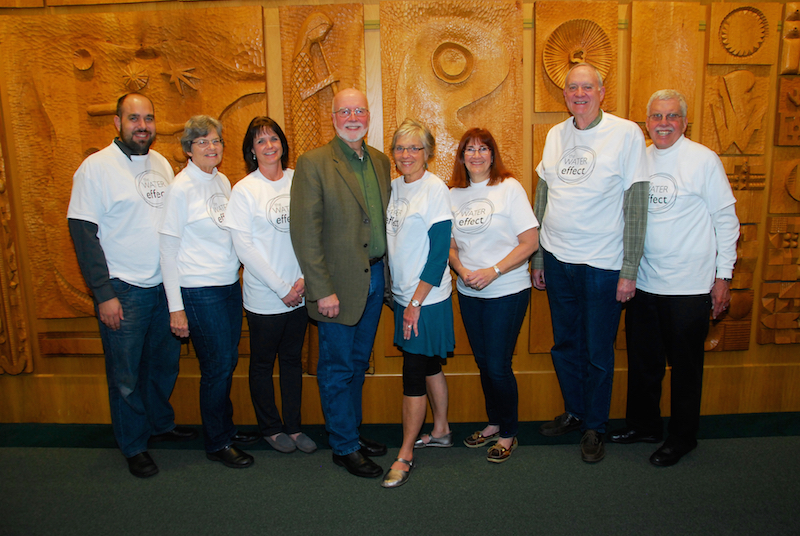 Last week Gary & Judi Mittelstaedt and Bill Savage gave a presentation to the Rotary International Service Committee in Lake Oswego and we are very grateful for this important opportunity to dialogue as we seek ways to support each other in our work to help marginalized people around the world. WaterAfrica also took part in the Lake Grove Presbyterian Church Mission Fair, February 14-15. 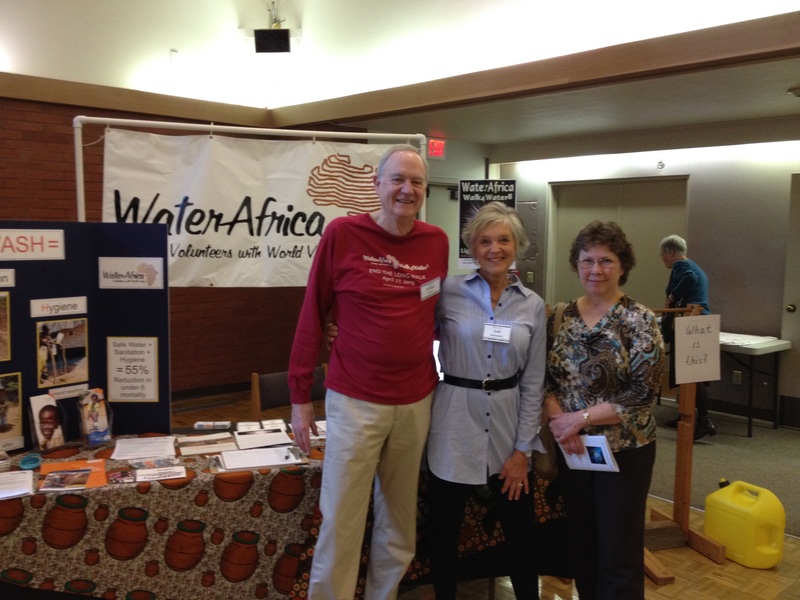 We staffed a table after 4 different church services and this provided a wonderful opportunity to tell the WaterAfrica story and specifically to invite people to Walk4Water8. 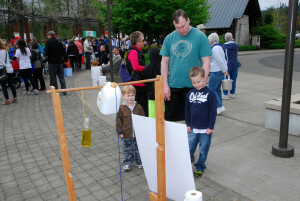 Walk excitement is building among families, youth, and scout troops who attended the Mission Fair. Please join us for this fun, life-changing community event!